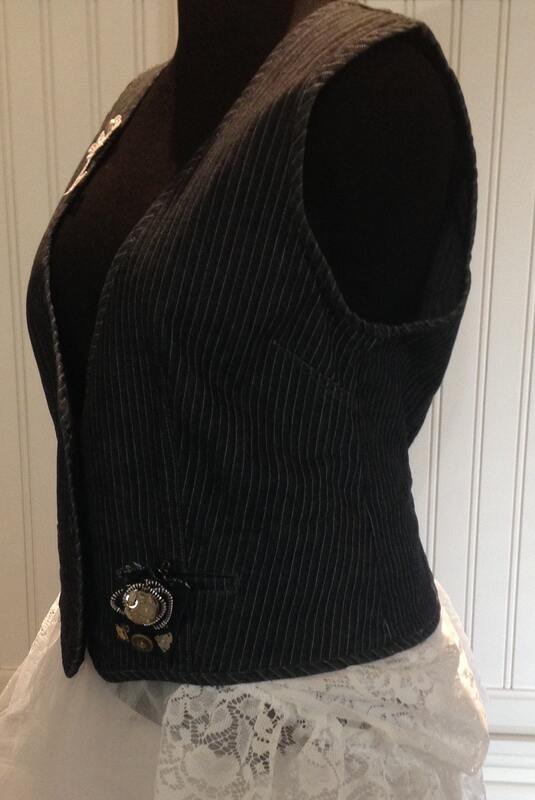 This elegantly fitted women's dark blue striped denim vest has been upcycled in steampunk style. The cream lace bustle, fashioned from two vintage lace curtain panels, is ruched to bustle on back to compliment the derrière. 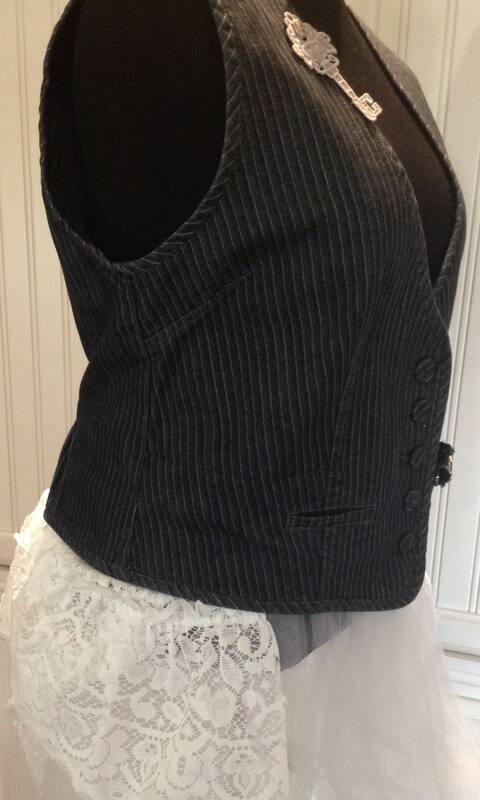 The front seams are fitted highlighted with fabric covered buttons. 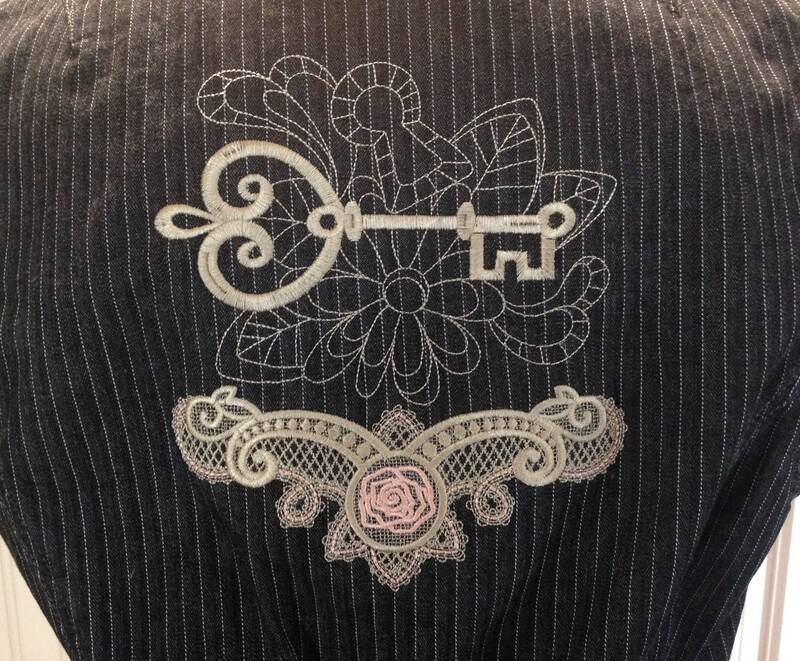 The back center is gracefully embroidered with a steampunk key image and lace with a pink rose to set off the silver stitching. 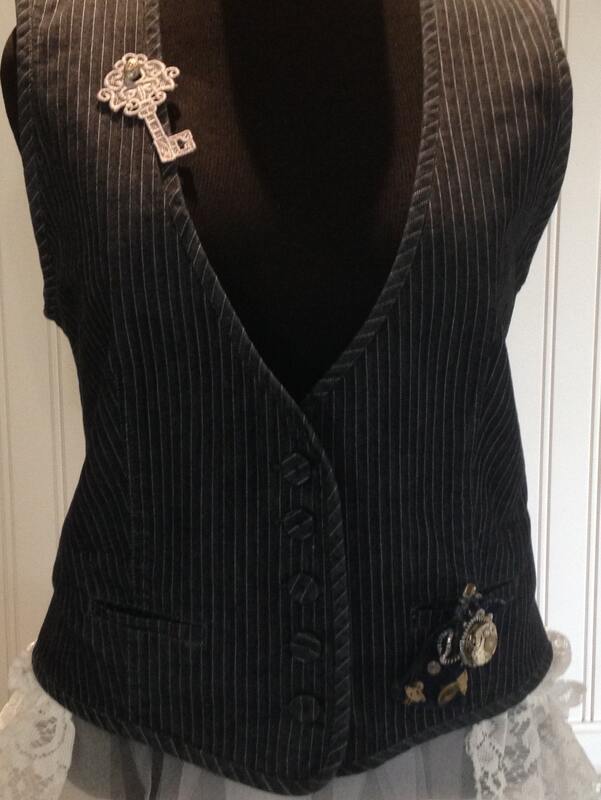 Look closely at the right front of the vest and you will see a vintage pewter etched button used to fasten on the silver free standing lace key and clipped to the bottom left watch pocket is my version of what I call a steampunk deconstructed pocket watch. 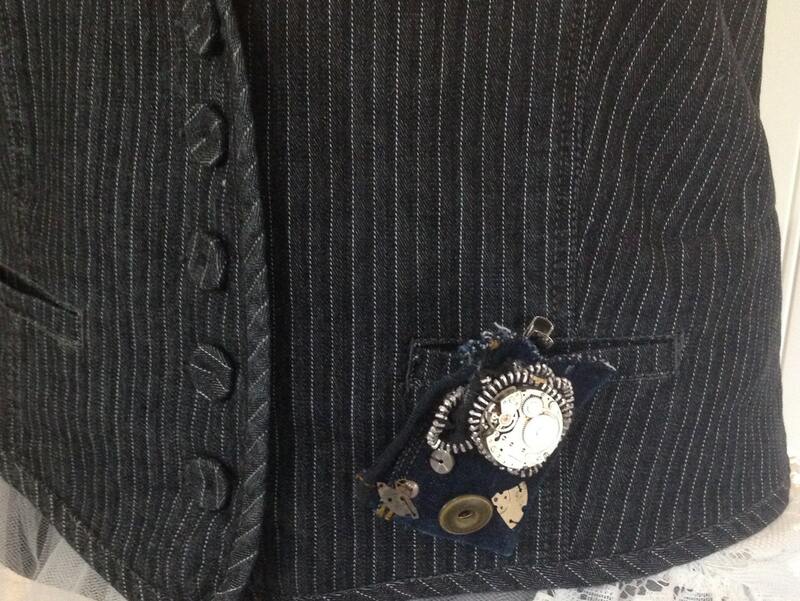 This unique piece of steampunk jewelry is made from a dark denim blue jacket cuff and vintage watch parts attached to a black zipper broach. 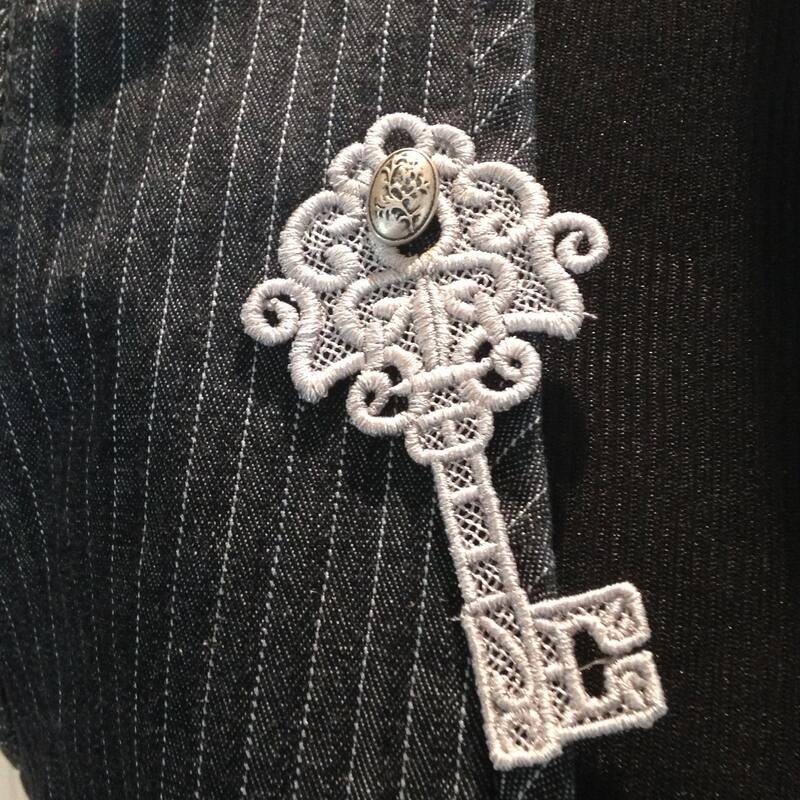 The back clip allows this handmade whimsical piece to be clipped anywhere your heart desires. . 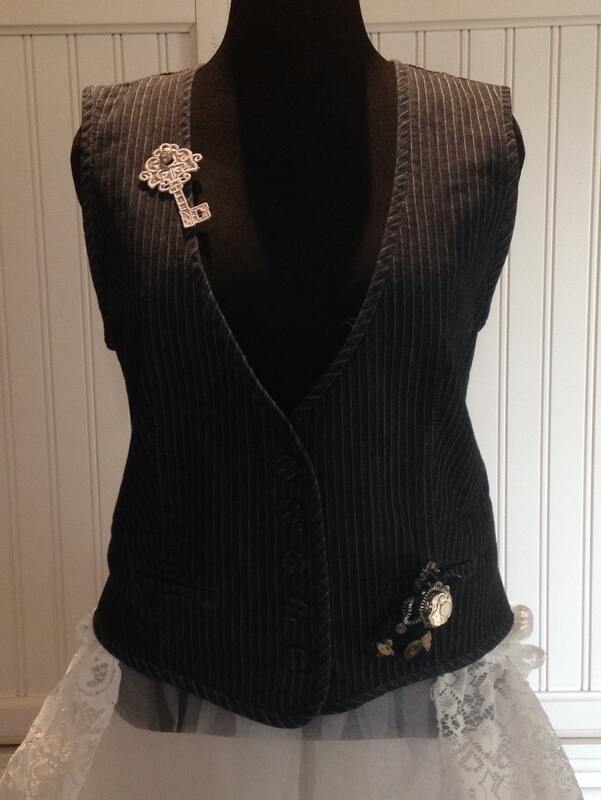 This vest with its lace bustle and embroidery adds that dash of daring to your steampunk style. 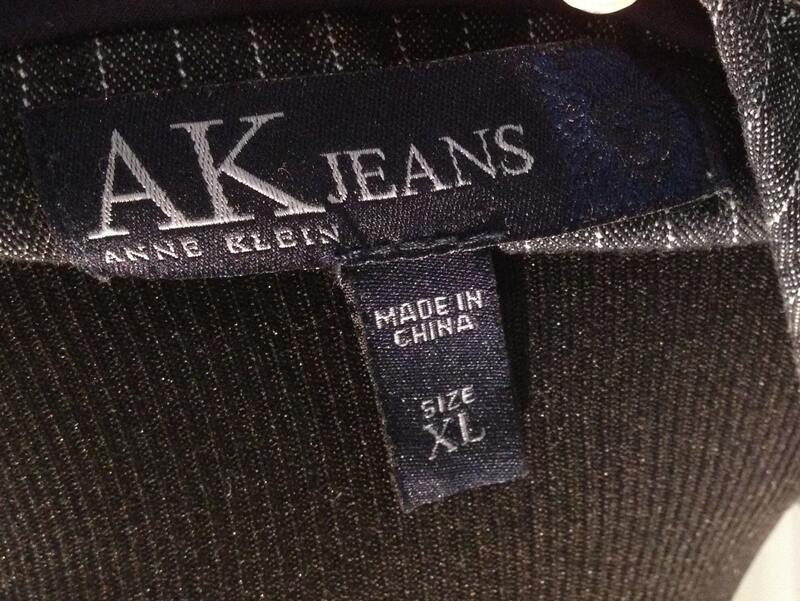 While the original vest is an Ann Klein XL, because of the slightly fitted nature of this style, I think it fits more like a Womens size Large or 12-14. The vest is washable, but remember to remove the pin first. 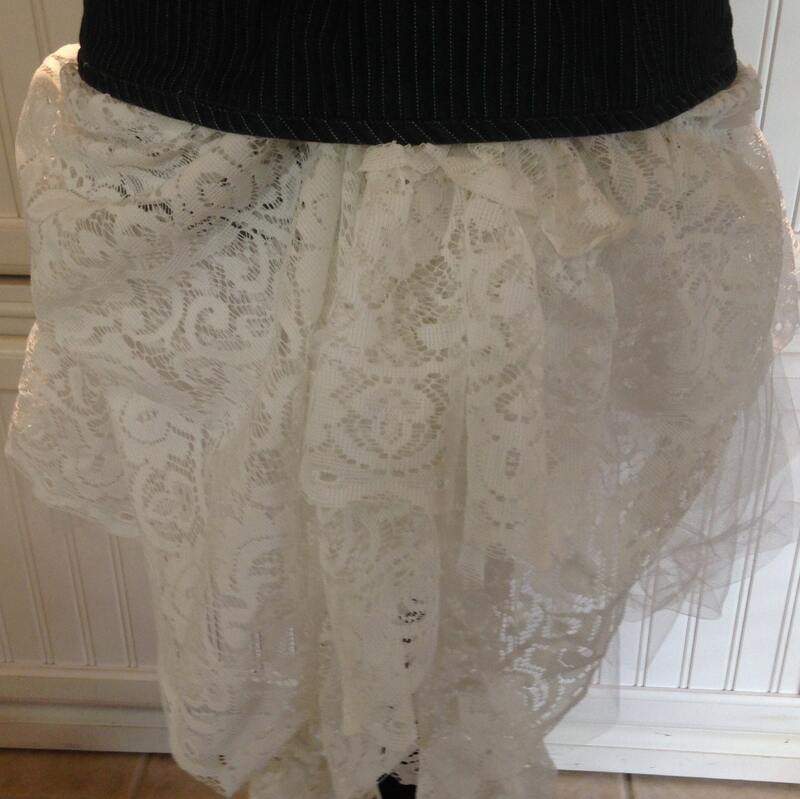 I recommend a color catcher be added to keep the lace cream colored and lovely.